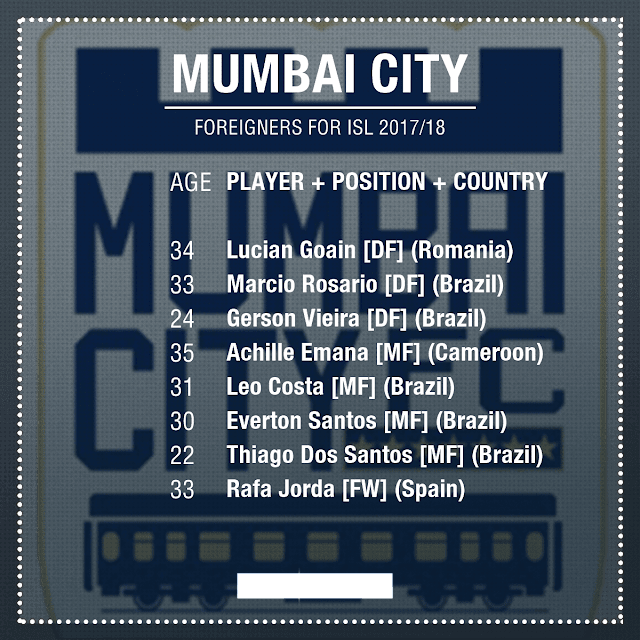 ISL 2018: Foreign Players Signed By Each Club: Indian Super League 2017-18 scheduled will be started from 17th November 2017, we are providing the list of foreign signings done by each Club. The full schedule of Indian Super League's upcoming season 2017-18 was released. This year, the league will Ten teams competing for the title with Bengaluru FC and Jamshedpur FC being the latest additions to the Indian Super league. 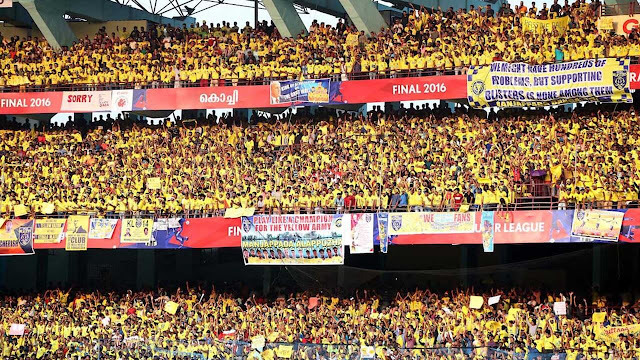 ISL 2018: 5 reasons why we'll see a different Kerala Blasters this season- Indian Super League is coming back soon just over two months left for this epic league to start, this year we have 2 new clubs added so the tournament will have total 10 teams this year. All the teams have made up their respective squads for season four. Kerala blasters as always are one of teams who can be said as the favourites for winning ISL 2017 even before the tournament is started. The franchise yellow army have done some brilliant business on the transfer window ,be it in the Indian player’s draft they picked experienced and foreign players to play a dominant game in their line up. any footballs teams success depends on his backline. It has been their solid defencewich has led the blasters to two finals in the last three years. Their new head coach Rene Meulensteen is going to be another key factor. Rino Anto became the club’s costliest buy in the draft pick, with defenders like laruatthara and pritam singh. Foreign singings like Nemanja Lakić-Pešić will be a key factor in their back line along with the singing of one of the big stars Wes Brown . The league is changing its perception it was a showcase league league before now it is becoming a proper football league from this season, the growth of Indian football community is huge thanks to this tournament. The winner of this elite competition will get an entry into the AFC cup next year and the huge set of Indian players will be the utmost use for the yellow army. 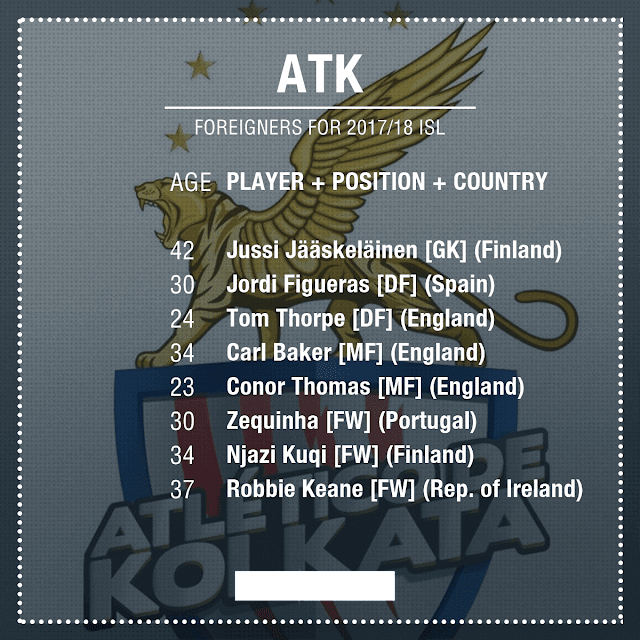 Kerala Blasters has a very experienced line up of Indian players which will help in this kind of domestic football. They have both young and talented and also experienced Indian players in their team. A new coach would be a deciding factor for the yellow army. The new coach and manager of Kerala is Rene Meulensteen . the 55 year old is a highly rated coach with his biggest stint coming with Manchester united. We have already seen the strategy of Kerala Blasters in earlier three seasons they never spend a huge amount for recruiting star players instead of that they recruit low key players who will effectively play their role and more focused to their job. 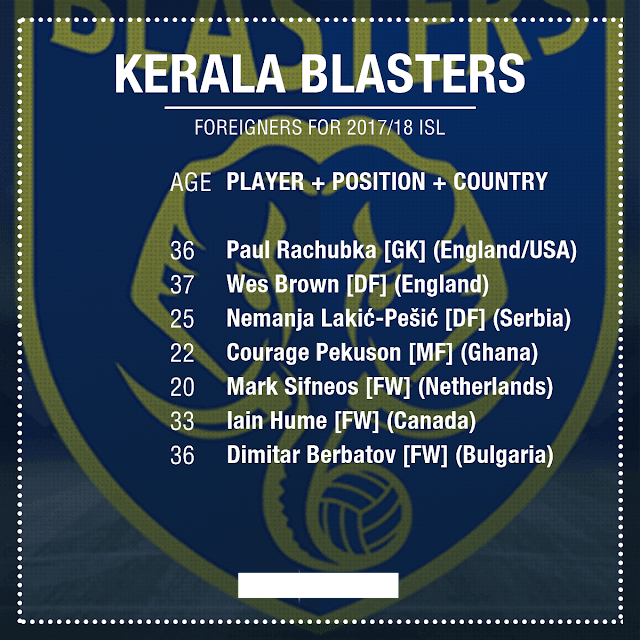 This year I can dare to say it that yellow army has the best attacking lineup of ISL 2017 with Indian forwards like CK vineeth and foreigners like Dimitar Berbatov and the surprising signing back of Iain Hume Kerala has a world class front line this year. I have covered all reasons why Kerala should be the favorite. Share this article as much as possible and comment your thoughts. 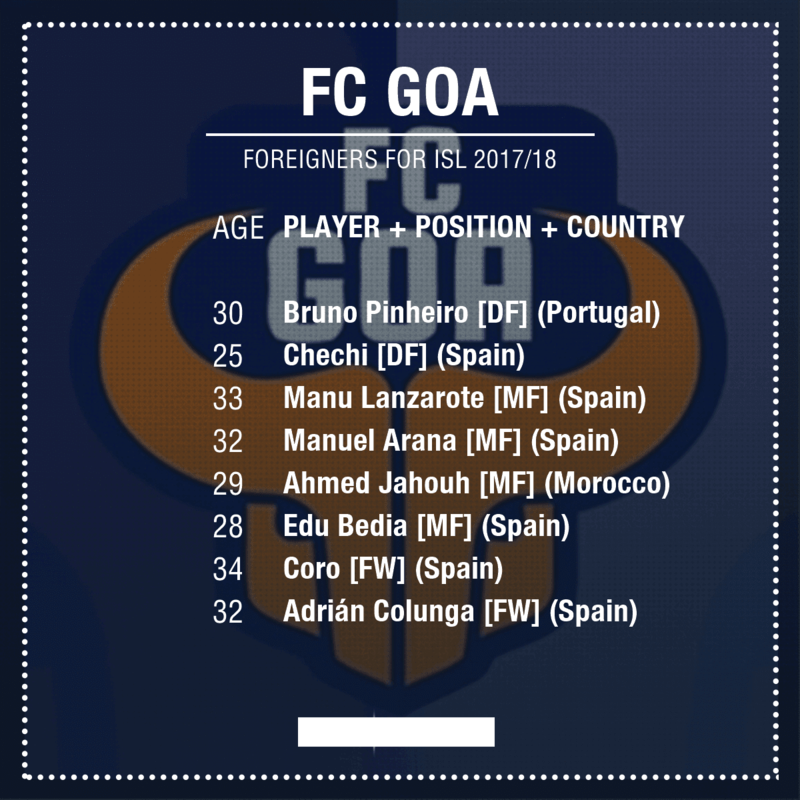 ISL 2018 : 4 players Kerala Blasters could sign as their last foreigner- The big question now is who will join Kerala Blasters as their 4th foreigner . The season 4 of the Indian football revolution ISL 2017 is coming soon. This league contains india’s most professional football clubs, with two more teams added this year to the roaster. The ISL 2018 promises an exceptional experience for the fans this coming season. In this year the league will also have an extended schedule of five months and the teams have been forced to bring the best into their inventory to get ready for the clash. 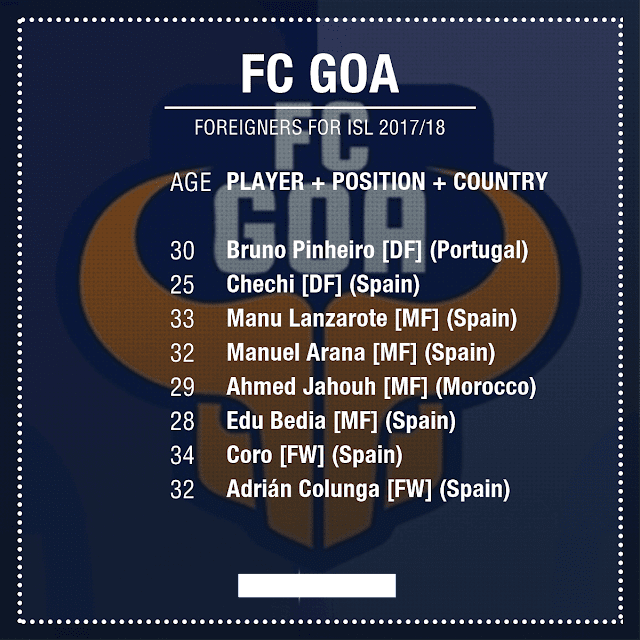 All the teams of ISL 2017 are in a hunt of singing the best players they could afford in their budget, Kerala Blasters are not an exception. 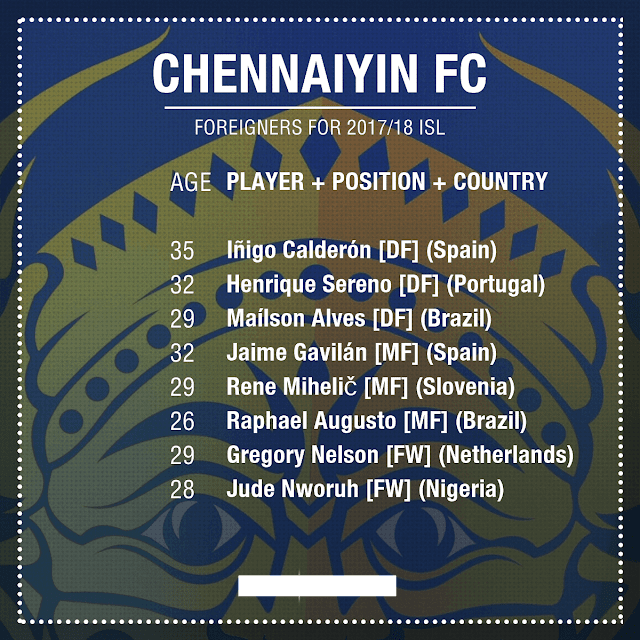 The team under the coaching of sir Alex Ferguson’s former assistant Rene Meulensteen have done a good job in Indian market by adding young players in to their squad along with a few of the experienced Indian men in domestic level. This team is bless by former Manchester United players like Paul Rachubka, Dimitar Berbatov and Wes Brown . The coach of Kerala blasters not only brought the team experience but also potential with new players like Mark Sifeneos, Courage Pekuson and Nemanja lekic Pesic. 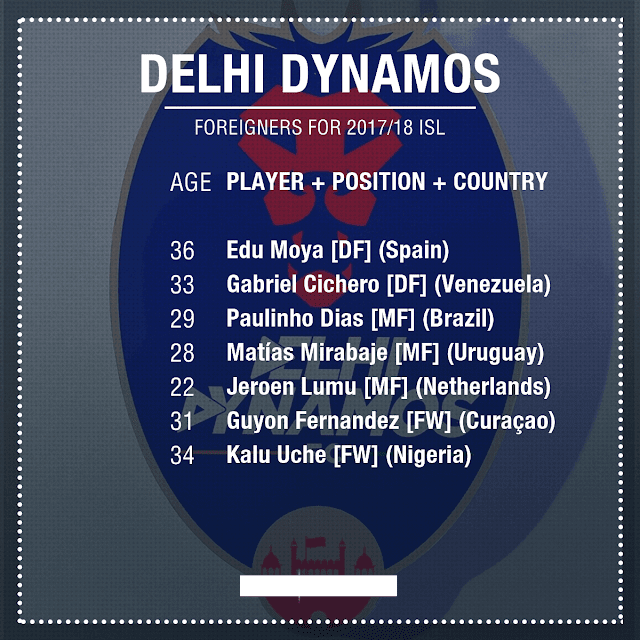 The team is almost set for ISL 2017 but they still need some players who can dominate play in the heart of the mid field. The Ivorian defensive mid fielder can leave a nice impact in ISL 2017 with Kerala Blasters can be the one who could dominate the game in middle of the pitch for the yellow army. Didier is 27 years old played an instrumental role for Kerala Blasters last year. This versatile holding midfielder also pocketed a superb back heel goal for the yellow army in last season. Named as “unsung hero” of Kerala Blasters last season, Azarack Mahamat along with Mehtab Hossian ruled the mid field for yellow army in last season. The hardworking Chadian international was in command for Kerala Blasters in midfield last year. 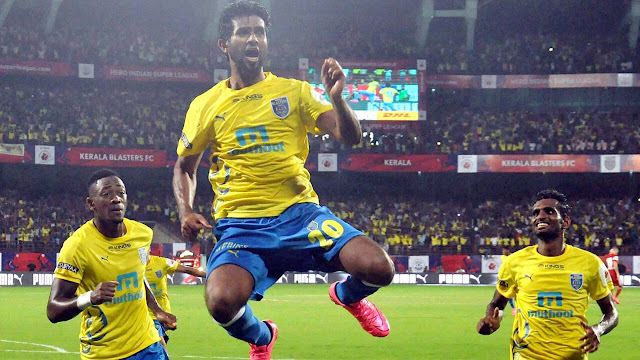 The 29 year old “ unsung Hero “ of the yellow army Kerala Blaster is a free agent at this moment could make a move if the yellow army is willing to make him their final foreign addition. This is a very familiar name for the yellow army fans .Pearson who was in Athletico De Kolkata the bitter rival of yellow army last year and gave a sensational performance. Pearson mastered the midfield of Athletico De Kolkata, helping them to win the ISL second time. He must become a new name for Kerala blasters but he is a Manchester united youth academy graduate. I have given the details of possible 4 players from which the yellow army may choose their last foreigner. Share this article as much as possible and comment your thoughts. 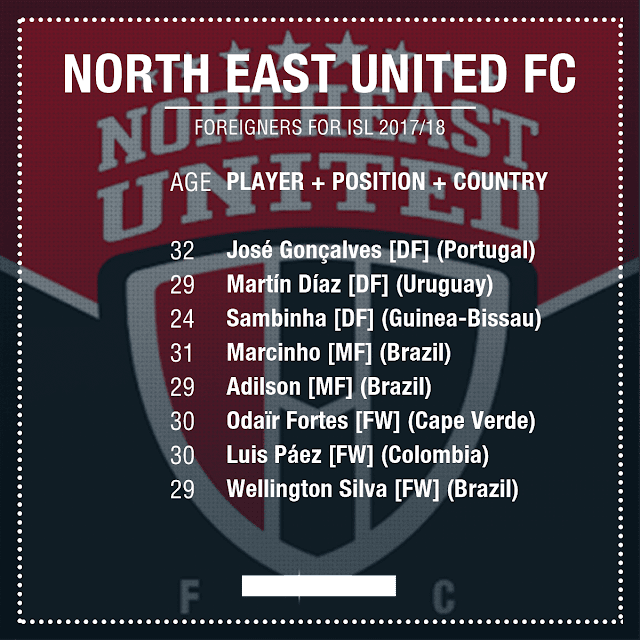 ISL 2018: NorthEast United announce 8 Foreign Players: Are you looking for an article about the 8 foreign players who will play for Northeast United in the coming is session 2017-2018? Then you are at the right place. If you read this article properly then you will get all information about the 8 foreign players. Recently Northeast United have announced that 8 foreign players will play for the 2017-2018 Indian Super League. The video which was posted on the social media from there we have seen that the club confirmed the arrivals of Marcinho, Jose Goncalves, Sambinha, Wellington Da Silva, Odair Fortes, Martin Diaz, Adilson and Luis Alfonso Paez. In case you didn't know, that the fan of Northeast United are fully frustrated through our the summer, although the club had been doing their deals behind the scenes. The signings of Marinho and sambinha have been confirmed through secondary source while the other six players have been dropped like bombshells. Among the 8 foreign players who signed for the Northeast United Marcinho will play as a playmaker while Sambinha as a center-back by trade. Odair Fortes, Wellington Da Silva, and Luis Alfonso Paez are strikers, while Martin Diaz and Jose Goncalves are defenders by trade. Although the name was not big among the 8 foreign players in the Northeast United team. 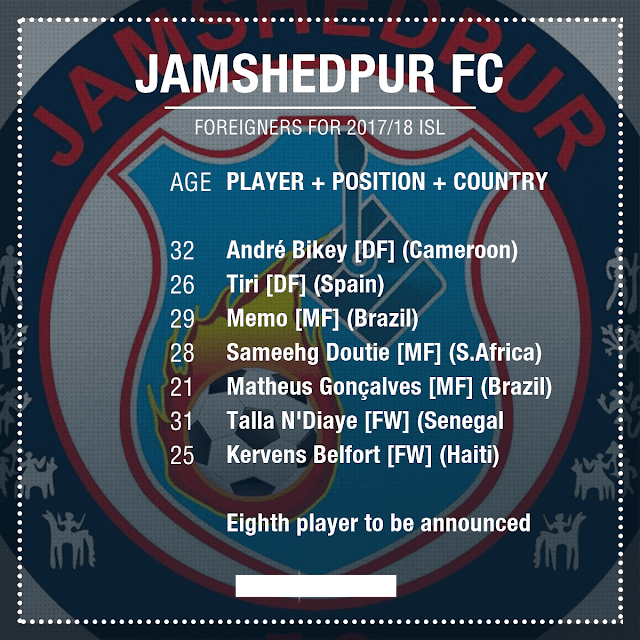 The eight players have been picked by the club's Portuguese head coach Joao de Deus. Among the domestic players, Rowllin Borges, TP Rehenesh, Lalrindika Ralte and Holicharan Narzary are the biggest stars. Having finished outside the playoffs places within the past 3 isl seasons, de Deus may be tasked with the obligation of leading the Highlanders to success in the coming season. The 2017-18 kicks off on 17th November and northeast are widely tipped to be the various lightweights of India's top division. However, most of their new recruits are unknown entities in Indian football and will nicely spring a wonder while the ball Start rolling. It's been a long wait summer time of watch for the Highlanders devoted but they sooner or later have something to cheer about. At the same time as marcinho and Luis Alfonso seem like true acquisitions on face cost, it remains to be seen whether or not they, at the side of the alternative new arrivals, can propel the club to the remarkable heights subsequent season. In the above article, we have to tell you about 8 foreign players who will play for Northeast United in the coming is session 2017-2018. The 8 players are Marcinho, Jose Goncalves, Sambinha, Wellington Da Silva, Odair Fortes, Martin Diaz, Adilson and Luis Alfonso Paez. If you have been benefited by reading this article then share this article with your family, friend and so on. If you want more information like this then keep contact with us, we will inform you at first about the news of Northeast United. If any information has been missed in the above article then Comment below the article.